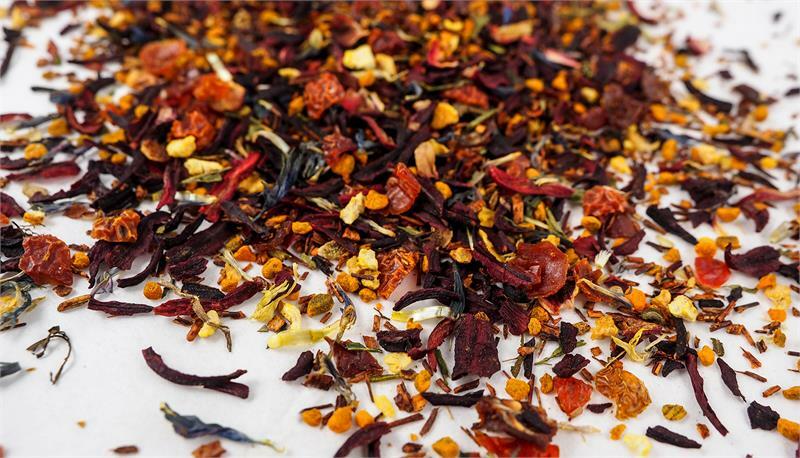 We've combined the sharp, warm taste of golden turmeric with the citrus notes of oranges and lemons to make this healthy and flavorful cup of tea. Contains dried ginger. All organic ingredients. Turmeric is the flavor of the year! We like to pair it with dried ginger because both are anti inflammatories and ginger is a great tummy tamer. 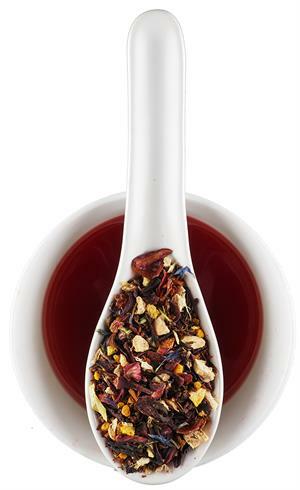 This blend contains no tea leaves so it is caffeine-free. 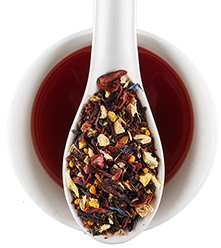 Ingredients: Ginger, hibiscus, turmeric, rooibos, orange peel, rosehips, blue corn flower, blood orange, vanilla and lemon flavors. All organic ingredients. The Turmeric is hidden in this flavorful, tummy calming tea. Makes a nice ice tea too!